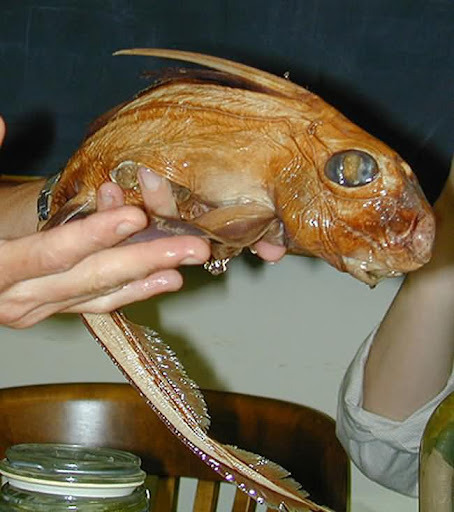 Weirdest Animals, Fake or Real ?! Real. 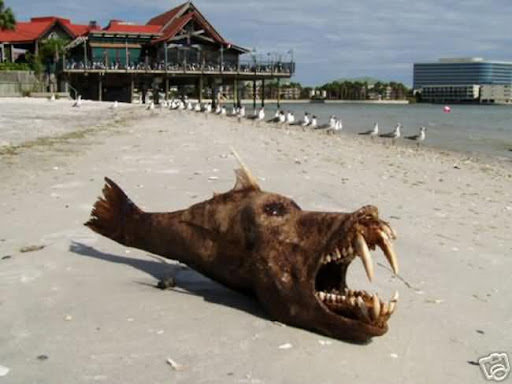 The true arrangement and purpose of the teeth remains a mystery. 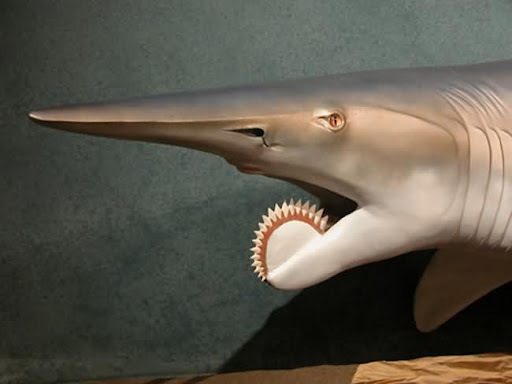 Some scientists suggest that it may have operated like a spiked whip, possibly curled underneath the lower jaw like a weaponized elephant trunk. It's FAKE! 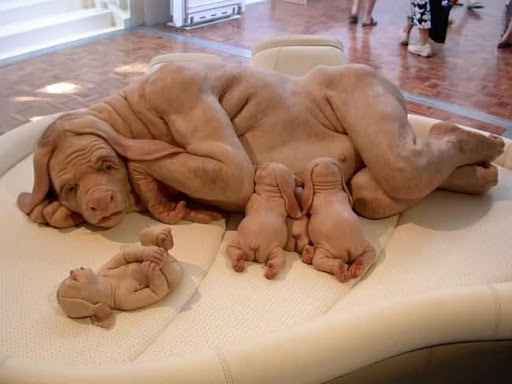 One of Patricia Piccininis disturbingly anthropomorphic human animal hybrid sculptures. Fake! 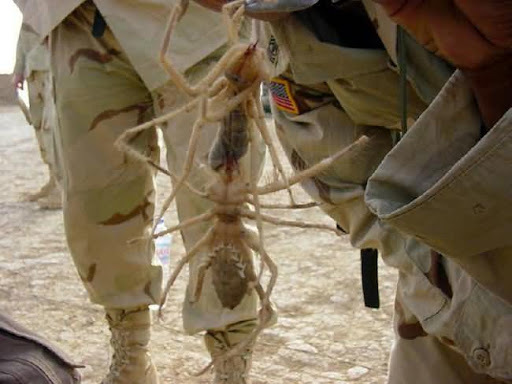 The animal is real, but not a spider, not from Iraq, not venomous and not nearly as big as the photo suggests. Real. 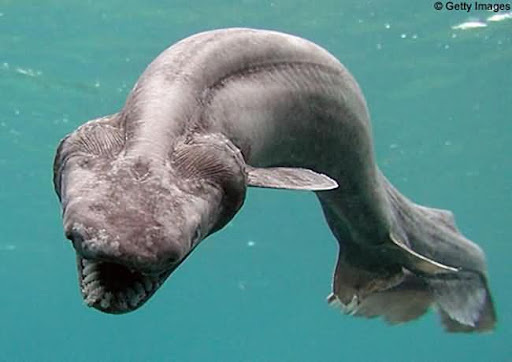 A species of shark rarely seen alive because its natural habitat is 600 metres (2,000 ft) or more under the sea was captured on film by staff at a Japanese marine park. Real. 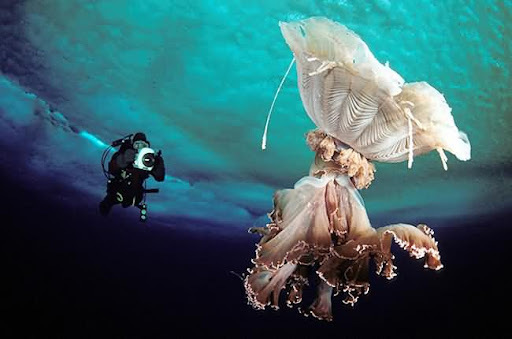 A scyphomedusa, the largest plankton in Antarctic Ice, has tentacles over 9m in length and its bell can reach over 1m in diameter. Real. 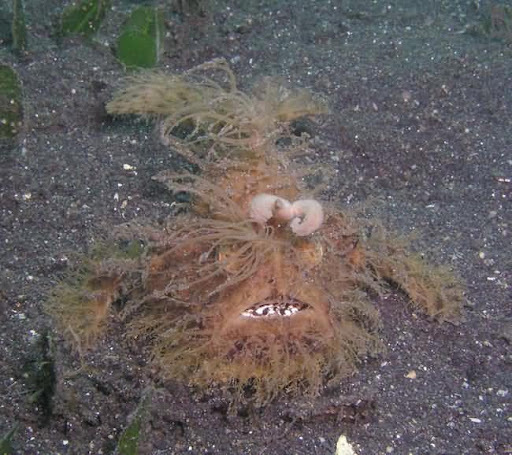 A type of fish we dont no what its called but it looks weird cos thats its camofluage.